SICM classes Is A Pioneer Coaching Center Of Pune. Our Academy Was Set Up With An Aim To Provide Coaching To The Aspiring Students Who Are Dedicated And Want To Achieve Excellence In Their Career. We Are Conducting Classes For XI & XII (PCMB) JEE ( M+A ) & Medical Entrance Tests. VIII, IX, X (SSC, CBSE & ICSE ). We Possess Unmatched Record Of Providing Coaching To Numerous Students And They Are Excelling In Their Lives. We are into engineering from last twenty years, with the help of experienceced staff, well equipped library, dedicated management we can boast that success is our guarantee. We not only give result oriented classroom teaching but a practicals for few subject thats why we are having lots of success storis of our past students. We provide teaching for each & every students though he may be a single or in a batch. We are proud to say that we are the only one academy in Pune which conduct batches for any subject of any branch in engineering Diploma / Degree / Master Degree, etc. ACE Engineering Academy was established in the year 1995 with a prime motto of imparting quality education in engineering and moulding the engineering students to crack competitive examinations. From a small coaching centre with just a handful of students in the year 1995, the institute has grown by leaps and bounds and established itself as one of the leading institutions in India for IES/GATE/PSUs coaching. The institute with its head quarter at Hyderabad, draws students every year from all over the country. ACE has become the abode for engineering students who aspire to get into IISc/IITs after B.Tech and for those who cherish the dream of joining prestigious jobs through IES/PSUs. A teacher set out to make a difference in the lives of students. His passion to train weakest of minds to crack toughest of exams. Brought him unparallel laurels. With his growing recognition as distinguished educationist, he committed himself to churn out medicos who would take Indias healthcare to new heights. The man behind this success story is Ashoka Academy. We provide Home Tuitions and Classes since 2003 for 1st to 12th Standard, for all Boards. Established in the year 1985, we are located at the prime location of Sahakarnagar Parvati. The class is administered by Prof Dilip Shah. He has done M.Sc along with D.H.E. He has an experience of thirty years. Science Academy has become a popular and reliable institute in the field of education. The Academy has a specialization for classes of Eleventh and Twelfth standard for Science stream. It also runs classes for CET/ NEET/ JEE. Science Academy proudly takes the credit of guiding a number of students appearing in the merit list of SSC and HSC board exams as well as CET/JEE/NEET We have well trained faculties to train our students. We believe in quality and keep on working for maintaining it. 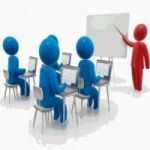 The Class is a centre for coaching managed by Sacheen Sir and Alosha Madam, Catering to various Streams such as Science, Commerce, Arts and CETs. An Open platform for India students , parents , tutors and training institute to communicate and provide or receieve educational services. .